When the purpose of systematization of things solve with style, then nothing is greater than that. This has been proved with jute organizer purse. 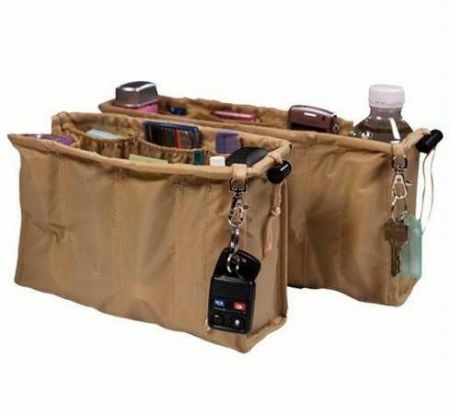 An organizer purse allows a user to keep the goods be it stationery and other in an organized manner without cluttering them. Whether it is pencil, pen, file, paper, and other item, they can be easily placed in the purse. Organizer purse designed from jute is designed in such a way that it provides the user with not only high functionality but also style. Jute organizer purse is available in varied attractive designs, styles, patterns and vibrant colors to suit the needs of every kid, young or adult. It provides an enticing look to the persona of the user with amazing designs and styles. It is a smart choice to keep a number of items safe, carry them anywhere and also attract the onlookers. It is a green item reckoned for eco friendly nature. As jute organizer purse is manufactured from the organic material, jute, it is environment friendly as well as bio degradable in nature. With its bio biodegradability, it allows users to get rid of it without emitting any kind of gas, pollution and other harmful material. A user can have jute organizer purse in simple and plain designs to the adorned ones. It is embellished with a range of gems, mirrors, laces, crochet work, patch work, embroidery, painting and so on to enhance its beauty. It is treated, bleached as well as dyed so that different colors can be given to it. Its high durability and strong nature makes a user able to benefit from this for a longer period of time. It is light in weight, portable and handy making a user comfortable to carry it with him or her anywhere. In addition to above all, jute organizer purse is free from high wear and tear, fire, heat and abrasion.